Though East Bengal's team looked strong on paper against Aizawl FC, they were unable to score the winning goal against Khalid Jamil’s men at Barasat Stadium on Saturday. Aizawl went one goal up in the first half from an own goal by East Bengal’s Gurwinder Singh and the hosts had to wait until the 89’ minute for the equalizer by defender Ivan Bukenya. Forward Wedson Anselme had little to offer to the team as he was marked excellently by the Aizawl defenders and could not receive the through passes. Nikhil Poojary, the U-22 player had a very average game and could not change the flow of the match anytime. Morgan was left with a limited choice among the four foreign players, as the foreign player from the Asian quota was not signed then and also the fact that Plaza and Bukenya lacked match fitness forced his hand to start with only Wedson in the starting line-up. Though East Bengal were one goal down throughout the match, attacking prodigy Romeo Fernandes was left on the bench and was not substituted in. This later raised several questions about Morgan’s matchday squad and substitutions. However, it is now as clear as day that if the century-old football club wants to wn the title this season, Morgan needs to identify his best starting line-up in the coming days or they can bid adieu to their title hopes quickly. Khalid Jamil has always been a popular name among Indian football fanatics. This season, the Kuwait-born coach has already made it clear that despite taking charge of a relatively inexperienced Aizawl outfit he means business. According to Jamil, with the few days he had to prepare his team for this season’s I-League, he had already identified several potential improvements. Despite their starting game being against East Bengal in an away match, Jamil managed to steal one point from the home team. Aizawl played brilliantly and looked the better team for most of the match. The northeast club were compact at the back and swift on the counter-attack. The foreigner duo of Kingsley Eze Obumneme and Kamo Stephane Bayi were marvelous against the Kolkata side. 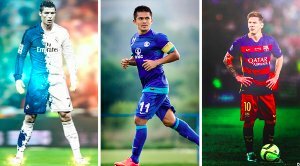 Indian players such as Albert Zohmingmawia and Jayesh Rane also played both an attractive and effective brand of football. If their performance at the weekend is anything to go by it is clear that Jamil will make Aizawl a tough nut to crack for most teams this season. Shillong Lajong began their season with a major blow as they were thrashed in their opening fixture by defending champions Bengaluru FC 3-0. The Reds concluded last season in sixth place narrowly avoiding relegation. However, with a number of wrong decisions and foul play included in their brand of football, Lajong look set to be part of the relegation scrap once again. With a young captain and a squad whose average age barely crosses 25 years Lajong clearly lack the experience and knowhow they will need to put together a string of results. Moreover, they also lacked penetration in atack at the weekend. Keeping the above in mind, it is certain that their home form will be crucial for Thangboi's Singto's men. Churchill Brothers faced a narrow defeat against another Kolkata giant Mohun Bagan in their I-League opening fixture at Barasat Stadium on Sunday. Churchill head coach Albert Fernandes was without his full squad as none of their foreign players were available to the coach to pick from. With the limited resources, Fernandes instructed his team to play with defensive tactics. Churchill sat back throughout the game and went on a few counter-attacks that made the match one-sided. Veteran player Clifford Miranda wasted several chances that could have led to an equalizing goal. Brandon Fernandes, the 22-year old forward was the most sought after Indian prodigy in the last transfer window, but he also failed to produce any special moment for Churchill. Fernandes has said star striker Anthony Wolfe will be available for selection sometime in the next couple of matches. The Trinidadian striker is a major force to be reckoned with for opponent defenders. Once he joins up with the team, the former Sporting Clube De Goa versatile footballer will add the much needed striking velocity and finishing ability that can bolster the team's potency in attack. 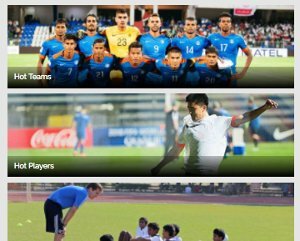 However, the Goan outfit also requires foreign stars to occupy both the other outfield areas of they are enjoy a solid vampaign. Santosh Kashyap led Mumbai FC produced one of the most surprising performances in the Maharashtra Derby against DSK Shivajians on Sunday, which they won 1-0. Mumbai's ace midfielder Thoi Singh scored an astonishing goal in the first half which won Mumbai the game against their regional rivals. 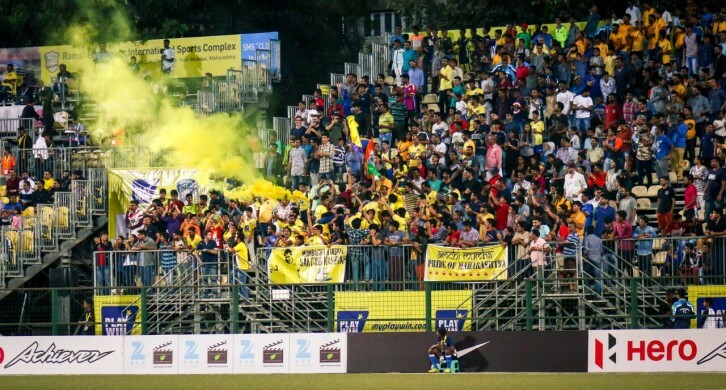 Without any of their foreign players in the starting line-up, Mumbai FC’s performance was arguably the best performance in the first round of the I-League this year. With a comparatively young team, Mumbai looked calm and composed against a well-equipped DSK Shivajians side on Sunday. With the amount of quality present among their ranks, Mumbai could well turnnout to be the surprise package of the season.